Damaged cuticles may occur when your fingernail cuticles dry out, causing them to peel and crack. You may also damage your cuticles if you cut them too closely with nail scissors, especially if the scissors are not sterilized properly. 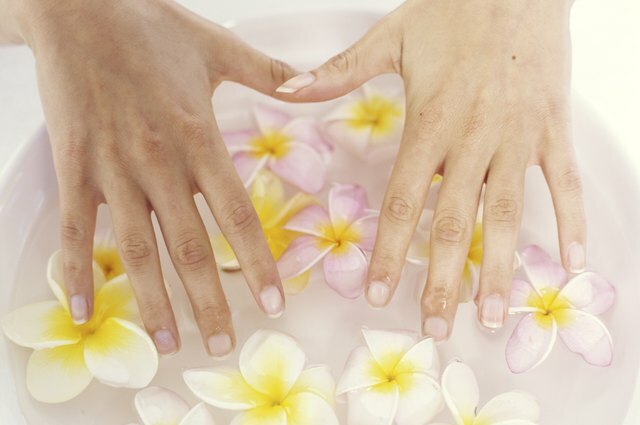 Damaged cuticles are susceptible to fungal and bacterial infections. You cannot just slather on regular moisturizing lotions, however, because they are not hydrating enough to heal damaged cuticles. However, you can usually heal a damaged cuticle with home remedies or special creams designed specifically for cuticles. Remove any fingernail polish from your nails. Nail polish covers your skin and nail completely, cutting off the oxygen supply from your nails. Apply olive oil to your fingertips. Pour the olive oil into a bowl and let your fingers soak for 10 to 15 minutes. Place cotton gloves over your hands after soaking them. Do this before you go to bed and leave the gloves on overnight. Repeat this process until you see results. It should only take a few days. Get a manicure done once a month, if possible. A professional manicurist will be able to remove the dead skin from your cuticles without damaging them, and they will look neater. Treat damaged cuticles with a moisturizing cuticle cream, available at most pharmacies. Apply the cream several times a day until your cuticles have healed. Try an over-the-counter antifungal cream on your cuticles for severe cases of damage. Apply the cream for five to seven days. If this does not fix the damage, see a doctor. Can I Use Super Glue for Nail Glue?